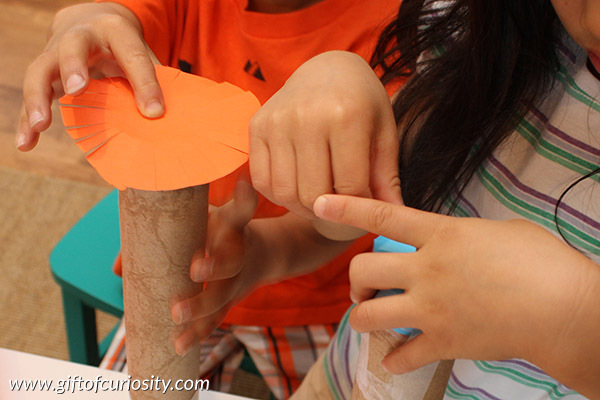 DIY rain stick craft that actually sounds like rain! 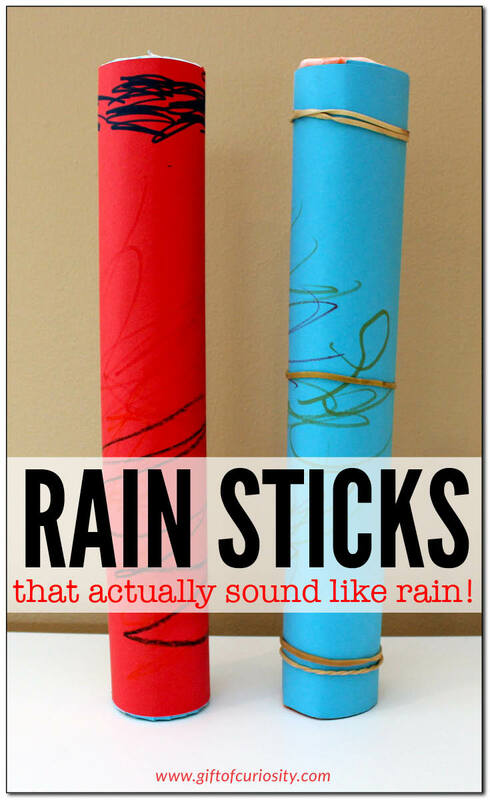 Rain sticks are those fun instruments that you turn upside down to make it sound like rain. 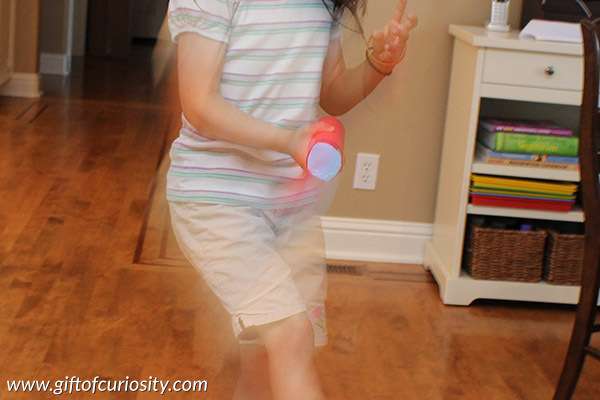 Today I’m showing you how to make kid-friendly rain sticks that actually work. 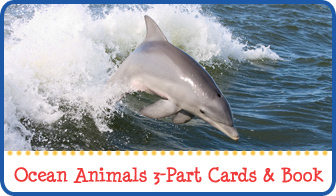 Note: You’ll find more weather-related activities on my Weather Unit Study page. 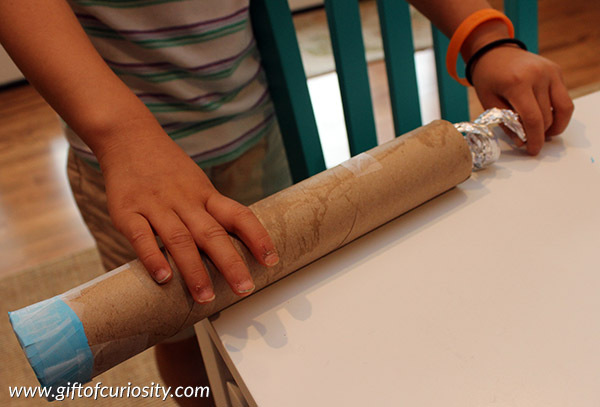 We started by tearing a sheet of foil about 10″ long. 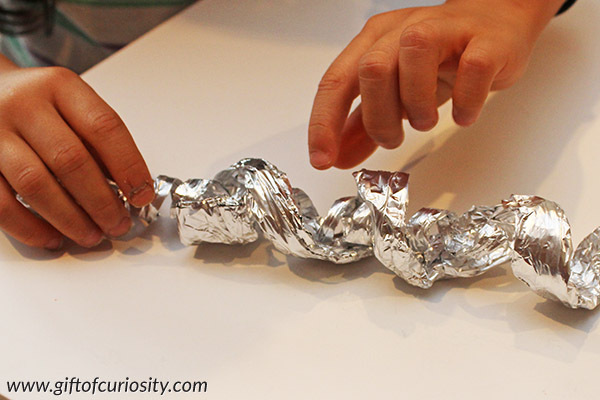 We twisted the foil into a stick-like shape. And we wrapped it around the handle of a broom to make a spiral. 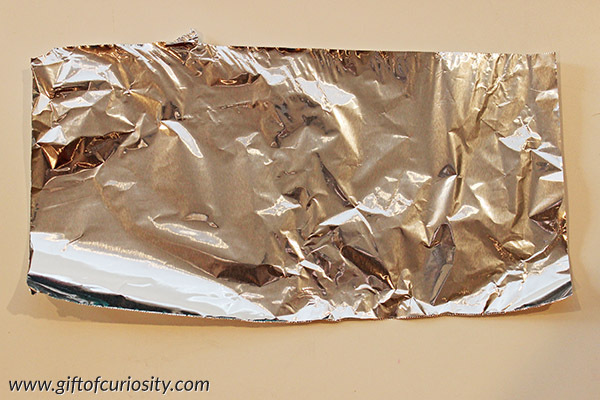 Then we tore a small piece of foil about 7″ long. 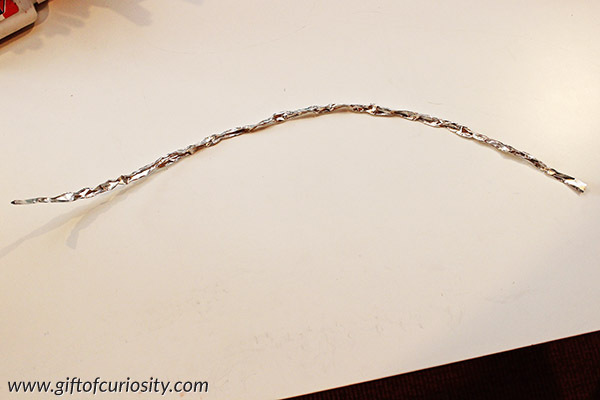 We twisted this piece of foil into a skinny, wire-like shape. 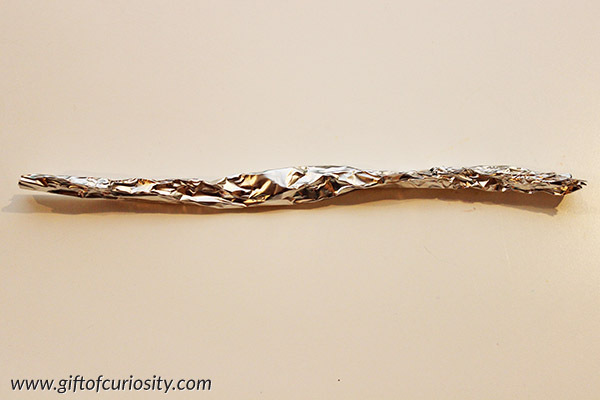 We wrapped this thin piece of foil around the handle of a wooden spoon in order to make a tight spiral. We then inserted the smaller spiral into the larger spiral. Note: This is the key step that makes the rain stick work. 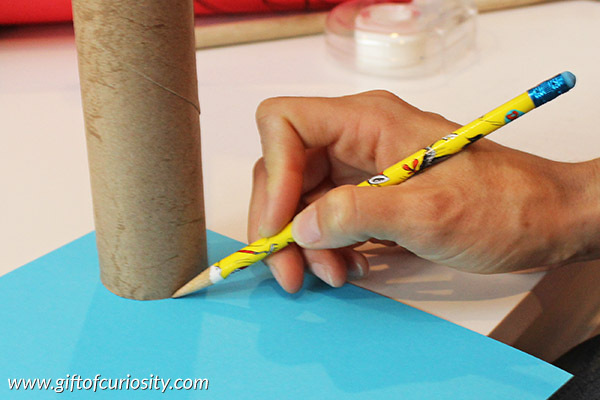 Next, we placed the end of the paper towel roll onto a sheet of paper and traced a circle around it. We did this twice (once for each end). 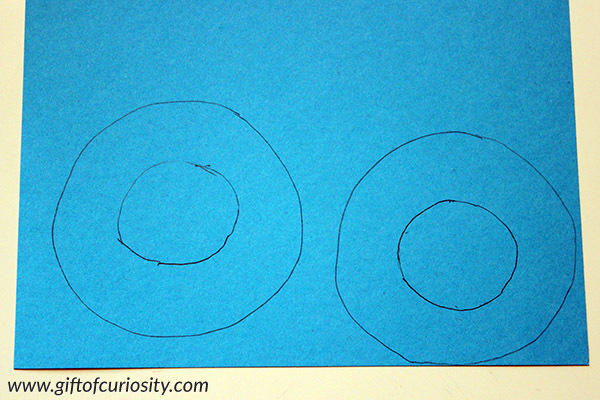 We then drew a bigger circle around the small circles we had just drawn. 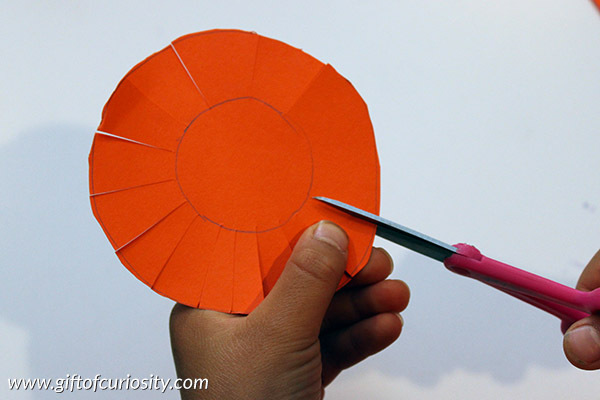 We cut out the larger circles, and used scissors to make a lot of cuts from the edge of the paper to the inner circle. 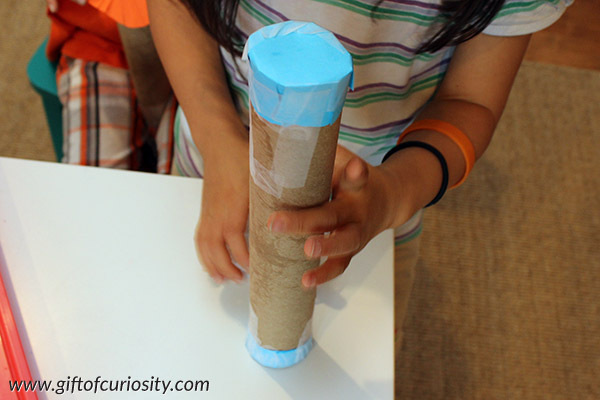 We then taped the paper to the end of the paper towel roll, wrapping the flaps we had cut up the sides of the tube and securing them with clear tape. 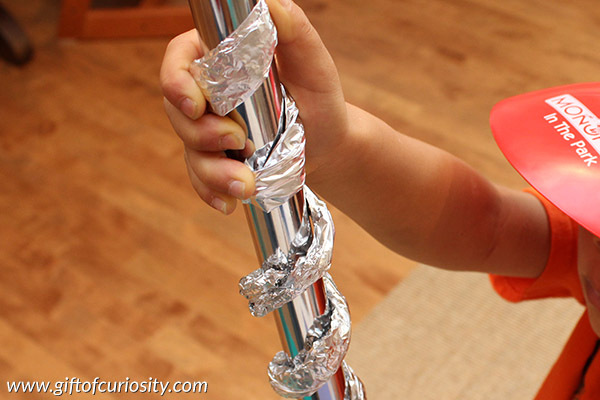 Once one end of the tube was secured, we inserted the two foil spirals we had created. 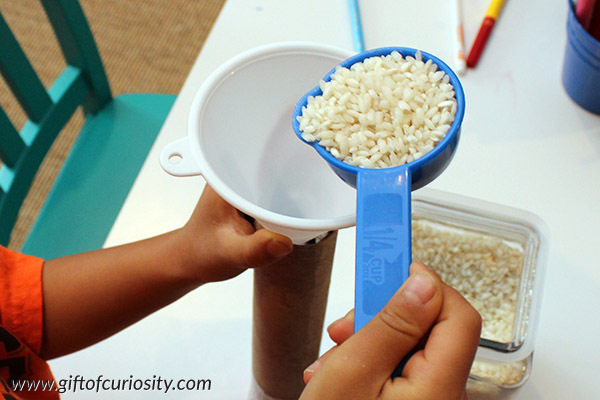 Then we added about 1/4 cup of dried rice to the tube. We then secured the other end of the tube with the other circle of paper we had cut. We used lots of tape to make sure everything stayed together. 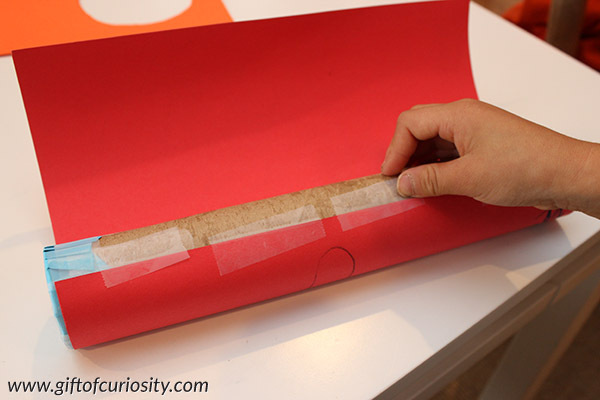 We then wrapped a sheet of colored paper around the outside of the tube to make it bright and colorful. The kids decorated their rain sticks with markers and rubber bands. And then the rain dance began! 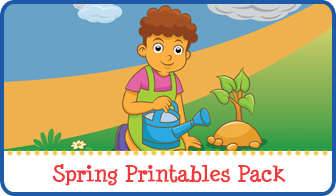 You’ll find more resources for learning about weather on Weather Unit Study page my Weather Activities Pinterest board. 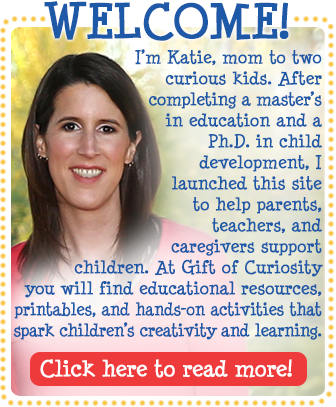 Follow Katie @ Gift of Curiosity’s board Unit Ideas: Weather on Pinterest. Do you think this would work just as well with toilet paper rolls? Thx. Super fun idea! I imagine it would work, although you’ll get a better sound with longer tubes. 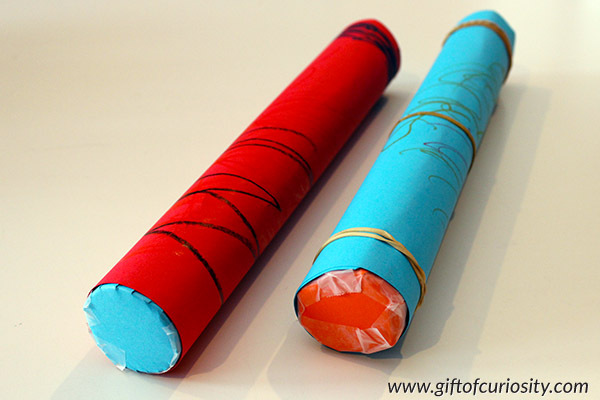 In fact, I think doing it with wrapping paper tubes would be awesome! 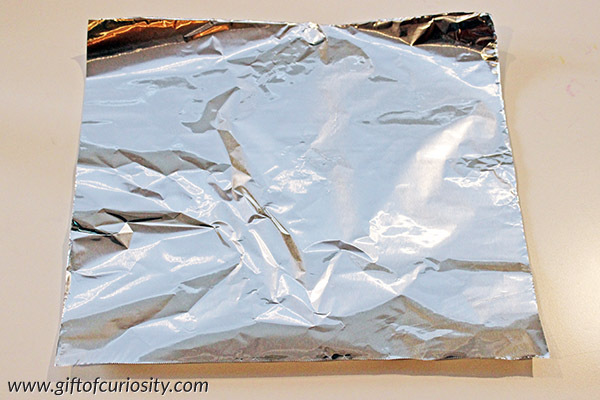 Did you tape the tin foil down inside? 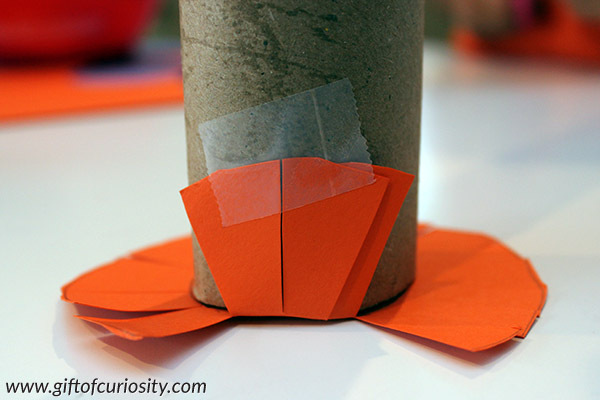 Very neat idea…I love that there are no crazy materials required! 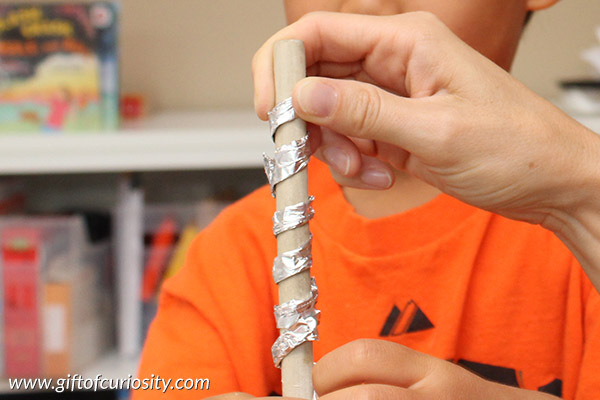 I do no believe we taped the coils of aluminum foil inside the tube. 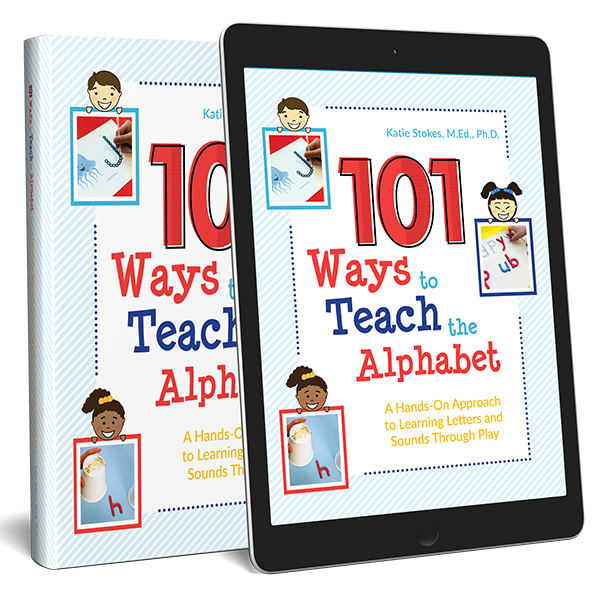 This looks so much easier than the one I made w-a-y back when I was a Kindergarten teacher in the 1990’s. We had to push what seemed like hundreds of straight pins in the tube. 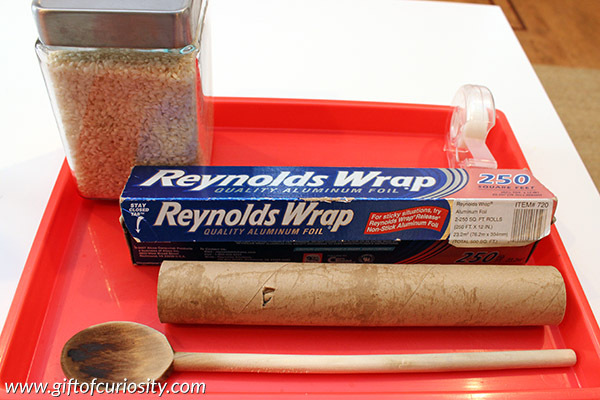 Can’t wait to try the aluminum foil with my grandchildren! 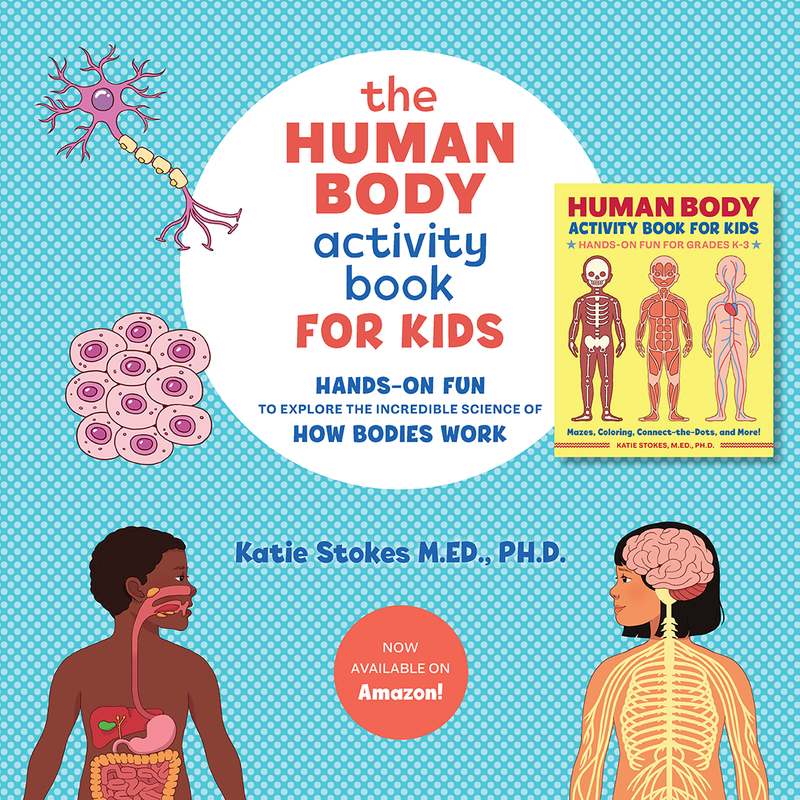 Do you recommend for preschool ages? Preschoolers would need some support with the project to be able to do it successfully, but it could work with the right supports in place. And I’m sure they’d have fun using their rain sticks when they are done.